Innovation in processes and technology in all sectors of business and commerce is perpetual. 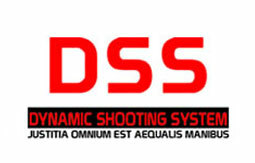 The founder of DSS, has spent several years perfecting a shooting posture that affords a combination of speed, accuracy and movement simultaneously when engaging a target. The system, although simplistic, affords the firer a physical and scientific advantage against an aggressor in any given life threatening situation. Giving the capability to fire weapons on the move up to 20 metres but still accurate beyond. Compatible with all personal handheld weapons systems. DSS prejudices neither male nor females. Strong and weak hand firing positions offer the same accuracy and speed. Body armour and respirator attuned. The physical stance of the firing position is such that the muscular and skeletal process used when adopting the stance is such the firer can maintain the position for a longer period of time without the associated stress/muscle fatigue. Also the actual hand/arm position minimises the weapons recoil and sight deviation from the target, ensuring the firer is able to maintain the sight picture, allowing the ability to fire multiple rounds with greater speed and accuracy. The position also affords the firer more protection when using cover, by minimising on exposed areas of the body. In any given life threatening confrontation, the individual will always succumb to the bodies’ natural responses, adrenaline, increased pulse rate and breathing. The ability to maximise these attributes, to move, think clearly and respond proportionally, is dependent on oxygenated blood circulating to the brain, which is directly proportional to the lungs functioning to their capacity and providing this element. Some current shooting stances (i.e. Isosceles and Weaver) entail the arms, to some degree, to encroach on the lungs ability to inflate fully and provide the maximum volume of oxygenated blood possible. In conjunction with support equipment such as body armour and respirator, breathing will normally become laboured very quickly therefore, it is vital the body is afforded ‘every concession’ possible to capitalise on the breathing process. The DSS firing position vastly reduces any impingement of the lungs thus allowing more oxygenated blood flowing through the body and to the brain. The system has taken several years to devise and perfect, the medical aspect of the system has been monitored tested and ratified by the medical department of the University of Toulouse, France.